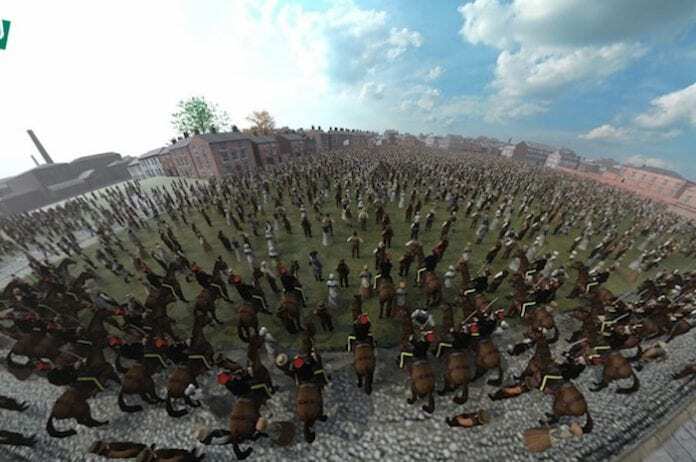 “Our challenge was to make the events of 1819 relevant to an audience that includes those raised on computer games and CGI-heavy films"
A new website has created in extraordinary 3D detail the events and legacy of the Peterloo Massacre 200 years ago – to enable a modern audience to understand the watershed moment in Manchester’s history. 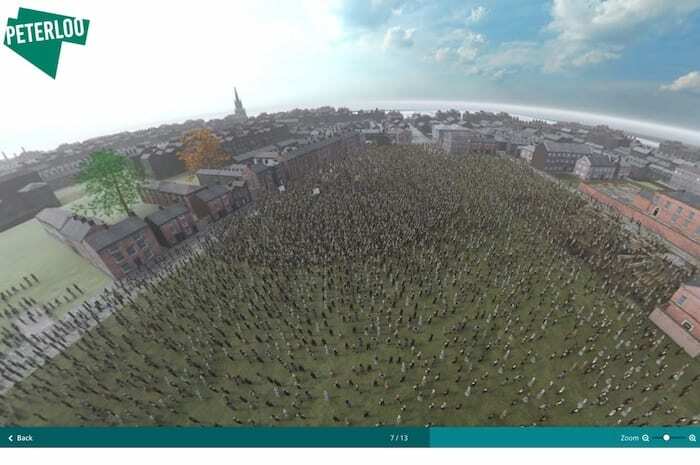 The site, peterloo1819.co.uk, allows the user to be placed in a virtual representation of St Peter’s Field so that they can see how events unfolded when 60,000 people gathered in Manchester on 16 August 1819 seeking rights and representation. Users can explore and discover more about the protesters, the actions the authorities take and what happened in the aftermath of the massacre, a watershed moment in British democracy. And it shows the astonishing scale of events on St Peter’s Field – which is now the St Peter’s Square area of Manchester city centre. 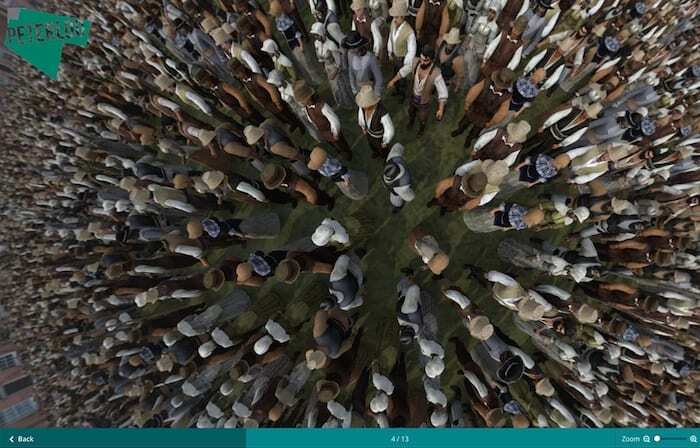 The website is part of the project Peterloo 2019 – being delivered by Manchester Histories with the support of The National Lottery Heritage Fund to mark the 200th anniversary of the Peterloo Massacre. 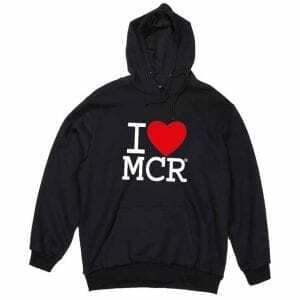 Karen Shannon, Chief Executive of Manchester Histories, says: “There is a huge amount for us to learn from about the events that were to lead to Peterloo; how a peaceful protest was to end in a day of bloodshed and the consequences that were to follow. “Yet awareness levels of this milestone in our democracy are still relatively low, even within Greater Manchester. The website that we’ve created will help to connect people to this history and to understand why it has such relevance to our lives today. The website will also be regularly updated with all the community, cultural and heritage events happening across Greater Manchester as the 200th anniversary of Peterloo is marked with exhibitions, art installations, walks, music events and much more this year. 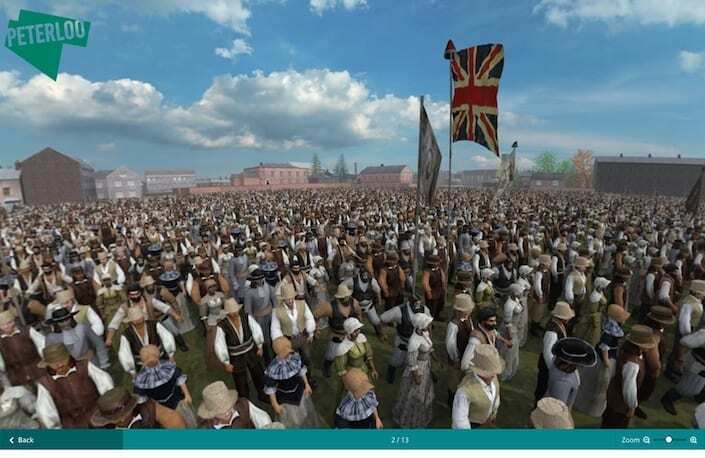 Users will also be able to download the learning resources that are being created for children of primary and secondary school age as part of Peterloo 2019, in partnership with People’s History Museum and British Council. Alongside this there will be archive materials, feature articles, blogs and links to social media channels. Frank Fenten, Digital Director for Dinosaur, says: “Our challenge was to make the events of 1819 relevant to an audience that includes those raised on computer games and CGI-heavy films. To create a rich, immersive, experience we drew heavily on gaming techniques, storytelling and interface design to tell the story of what happened. 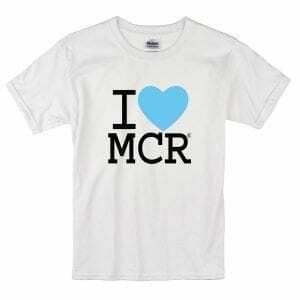 Visit Peterloo1819.co.uk for further information.